On the 28th of October, the Sunday Herald did something that had many Sunday Herald readers checking the front page again to see that they hadn’t in fact bought the Daily Mail. They published a piece of opinion from one of their writers that was so full of prejudice, bile, and outright ignorance, that it led to four of the nine letters in the following weeks pages complaining about the piece. The subject? Yes of course you’ve guessed it, “cyclists”, or dare we say it, “cults in lycra”. We were copied into a complaint to the editor about the article, who defended the writer as “deliberately tongue in cheek and provocative”. Our complaining member responded rightly, to say that the piece was in fact gratuitously offensive. Steel yourselves, and read on if you dare. Not unsurprisingly, many people wrote in to the following weeks letters page, making points that crude savage attacks and incitement to hatred like this lead to putting lives at risk on the roads. An echoed point so poignant that you would imagine the editor would take it on board, even if they’d lost all sight of principles, at the very least for a week or two. But no, shamelessly making no bones about the fact that this is a deliberate attempt to goad and ignore the consequences, just one week later the “hilarious” Rab stuck again. After all, the media knows that cyclists are a group of vulnerable road users who they believe are acceptable to vilify, and the vilification of cyclists sells papers. At GoBike we believe that a large part of the illogical, ignorant and dangerous hatred of people cycling that we encounter on the roads comes from the media. 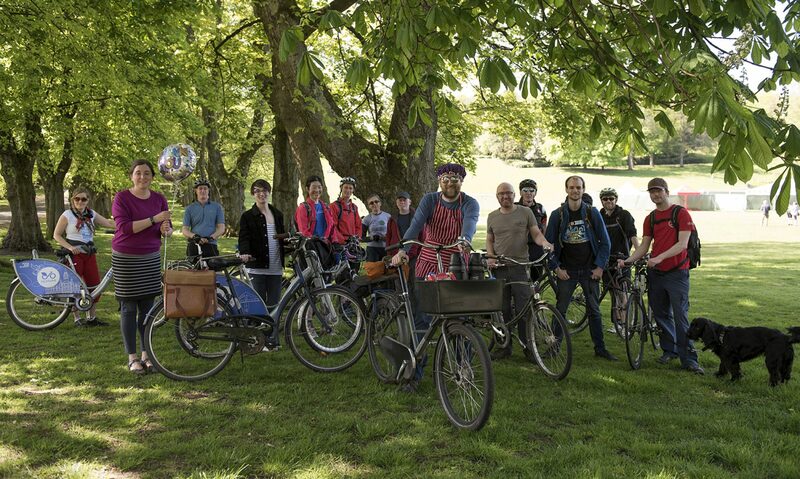 This has long been the case, but we have recently started to see this wane, as so many more intelligent and recognisable voices have started to speak sensibly about the desperate need for active travel provision in our country. Which is why a generally respected newspaper like the Sunday Herald should know better than to be joining in on this prejudice incitement so late to the growingly unacceptable party. So we have written to the editor to attempt to explain just how dangerous this rhetoric of Rabs is. We have asked that the Sunday Herald publicly apologise for the incitement to hate, that they ensure Rab McNeil never writes in spite about cycling again, and that for balance, they publish a monthly column, perhaps written by GoBike, about the perspective of life upon two wheels. Until that happens, these GoBike former Sunday Herald readers will be getting their news elsewhere.